Who has some goals you want to achieve?! Striving for more money? Looking for love? Success? Goal setting is somewhat of an art. Today I have a few tips I would like to share with you. 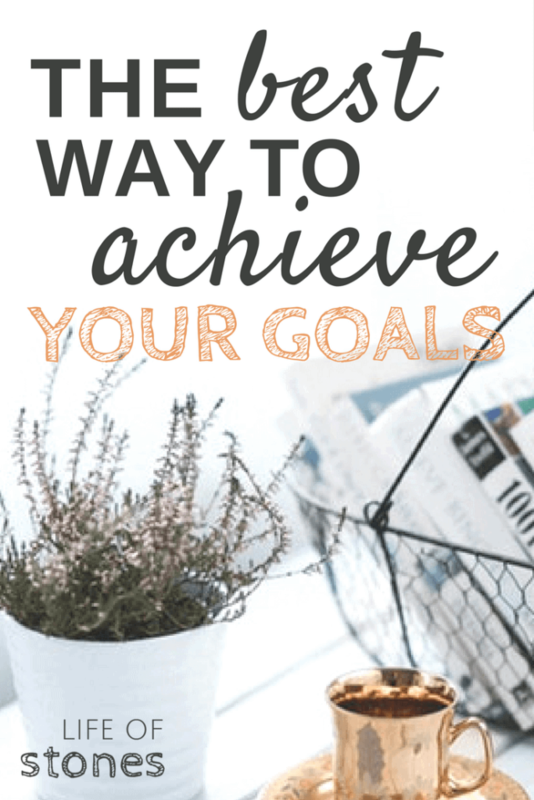 I have set a ton of goals and FAILED at a good portion of them too but along the way, I have found some tips that have really worked for me and I know they will help you achieve your goals too! Pin this to Pinterest for later! My posts often contain affiliate links. If you make a purchase through an affiliate link I may earn a small commission at no additional cost to you. I only recommend products I truly think you’ll love! For more info see my disclosure policy. LOOKING FOR MORE MONEY-SAVING TIPS? Join our Life of Stones Newsletter! Get tons more money-saving tips and tricks delivered straight to your inbox each week...for FREE! SIGN UP TODAY SO YOU DON'T MISS OUT! Your information will never be shared or sold to a 3rd party! By claiming your free printable you are also subscribing to our Life of Stones newsletter. You can unsubscribe at any time. First, take a few minutes to brainstorm! Grab a blank sheet of paper or a notebook and pick your category. I usually set goals in the following three categories: Health, Business, Finance. Yours might include personal, relationships, school, etc. Whatever you choose, write a page heading for each category. Then…brain dump. Write everything down that you’d like to achieve in that category. This is very casual, you don’t need to worry about grammar or punctuation, just jot down everything that comes to mind! Now review your list and decide how many goals you want to work towards in each category. 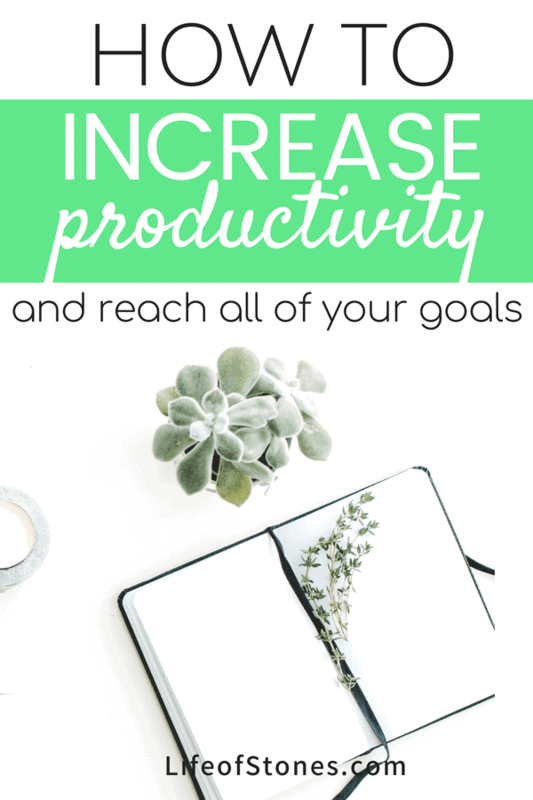 I usually choose 1 major goal per category (so that is 3 total goals I will be focusing on, this might be different for you). S – S stands for SPECIFIC. Is your goal specific? When setting goals it is very important to be specific. For example in my “Finance” category, I don’t want to set a goal of “save money”. While this is a good goal, it’s too broad. It will be hard to keep focus and stay motivated to simply “save money”. Setting a specific target is important, therefore, a better goal would be “I will save $10,000”. You want to phrase your goals with “I will” instead of “I want”. This primes your mind for manifesting your achievements. M – M stands for MEASURABLE. Is your goal measurable? Measuring your goals, or your progress – as we will discuss later – is a great way to be sure you are staying on track. You need to quantify your objectives so you can measure your progress. Keeping with our example of saving $10,000, this goal is measurable. I can check my bank account to see my progress. I can reduce expenses by a certain percentage each month to ensure I’m freeing up the money to save towards my goal. A – A stands for ATTAINABLE. I think this is the most crucial step. It’s good to dream…I believe strongly in the power of dreaming and it’s great to “reach for the stars” as you were probably told as a child, but I want to help you achieve your goals so we are going to work on keeping our goals attainable. Setting the goal for $10,000 is absolutely attainable! Attainable does not mean easy. It will not be easy for me to save $10,000 as we don’t have a high income. But if we work hard and stay focused we will get there. R – R stands for RELEVANT. Your goals need to be relevant. Relevant to your life and value system. If your goals are relevant they will be more meaningful to you and you will be more likely to achieve your goals. What is your “why”? Why do you want to achieve this goal? What does it mean to you? What will it mean for you when you achieve it? Having a relevant goal will help you stay committed for the long haul! T – T stands for TIME SENSITIVE. It’s imperative to set a timeline for when you want to achieve your goals. Giving yourself a deadline will help create a sense of urgency, which will continue to push you forward closer to your goals!“I will save $10,000 by December 31st.” This goal is time-sensitive. If there is no completion date how will you really know if you achieve your goal? This, to me, is the most important step! You’ve set your S.M.A.R.T. goals, you’re trekking along, doing great but time goes on and eventually, you start to lose steam. You might even forget about the goals you set…What do you do to ensure you achieve your goals? You must have them visible at all times! Write them down! Send them out into the universe! There is just something about putting your goal down on paper, physically writing it. So start here. 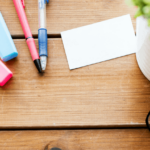 Write it down…..everywhere!!! I know it might seem strange, but these are constant reminders all day, every day. Keeping my goals at the forefront of my mind really helps me stay focused and keep me accountable! Proof of your own progress is incredibly motivating! When you are trying to lose weight, how do you feel when you step on that scale and see your numbers dropping? Or you try on your old jeans and they finally fit again?! Seeing your progress makes you happy, confident and motivates you to keep pushing towards your goals. When you see progress, you are proud of yourself and it makes you want to work harder to see even more progress! Decide how you will measure your progress. If your goal is to get stronger, you can keep a workout log of how much weight you’re lifting. If your goal is to save money you can use a savings tracker. If your goal is to eat healthier, you can keep a food log! Commit to checking in each week or month to see how you’re progressing towards your goals! 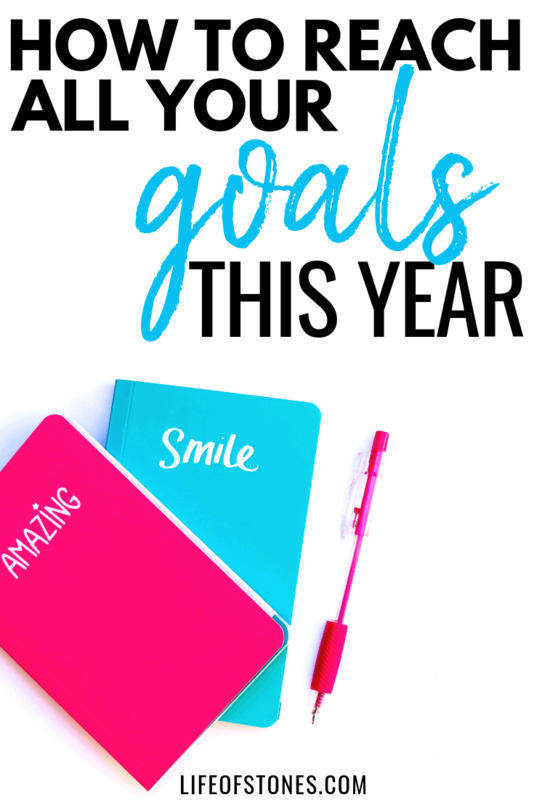 You can track your goals in many different ways! You can make tons of different logs and habit trackers in your bullet journal, your daily planner or a specific planner just for your goals! What if you are tracking your progress but you’re not actually making any progress? Where do you go from there? Goal setting is not a once and done feat. It requires constant tweaking! Lack of progress usually means one of two things: either you’re not taking the necessary steps required to reach your goal or you need to change your trajectory! Determine a schedule to revise and review your goals. Some people commit to a daily review or maybe weekly or monthly would work better for you? When you review your goals, set benchmarks where you expect to be in a certain amount of time. Check your goals against the S.M.A.R.T. method again and be sure they still meet the qualifications! Make sure they continue to align with your values as a person and review your why. “When your why is clear, the how is easy”. (This is a great resource if you need help finding your why) During the frustrating times where you feel your willpower waver, your “why” will push you through and keep you moving forward! If your progress is not in line with what you have planned, it might be time to switch directions…and remember, your goals will change, because you will change! Revising your goals will help keep them fresh and renew your motivation! It can be very frustrating when you feel like you are not reaching your goals. It is important to focus on the journey as a whole. You cannot give up because you feel like you are not reaching your goals as fast as you wanted to. Or because maybe it doesn’t look like you envisioned once you’ve reached the finish line. Instead, focus on how far you’ve come! Focus on the new habits you’ve created! Focus on doing just a little better each day, and focus on taking action. If perfection is your goal, you’ll never achieve it and you’ll always feel like a failure. Follow these tips to set and achieve your goals and you’ll find yourself more productive and successful in no time! Do you set S.M.A.R.T. goals? What are your best goal-setting tips? I help people learn how to love life on a budget. It’s possible…I promise! This is where I share all my best tips and tricks that helped us pay off $54,000 of debt in under 22 months! I have a heart for helping others get out of debt, reach their goals and live a positive life! READY TO LOVE LIFE ON A BUDGET? Creating and sticking to a budget is what helped us pay off $35,000 in only 7 months! (and we don't make a lot of money) A budget is simply telling your money where to go! And it is the key to your financial freedom! Get your FREE Meal Planning Printable! 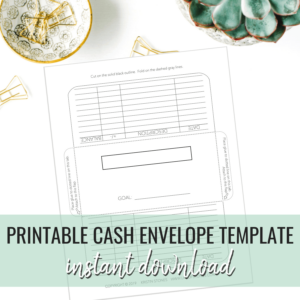 Grab this FREE printable Meal Planner to help you get started planning your weekly meals and start saving money now! Print a couple to shop and plan for a month at a time for the ultimate time and money saver! 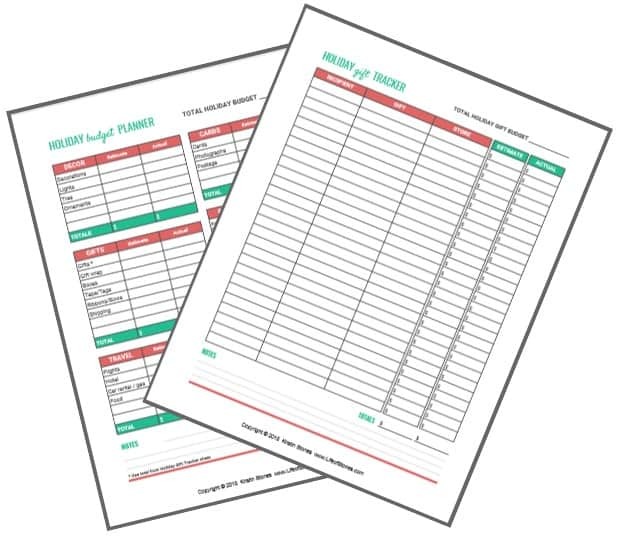 Download your FREE meal planning printable to get started saving time and money TODAY! BEGIN TO BUDGET 5-DAY EMAIL COURSE! Budgeting can change your life and jumpstart your financial makeover. Receive one email each day with actionable steps to create a budget, save money and get out of debt! GET STARTED WITH LESSON 1 TODAY! JOIN THE FREE RESOURCE LIBRARY! Join my FREE resource library and get instant access to free printables, worksheets, meal plans etc. 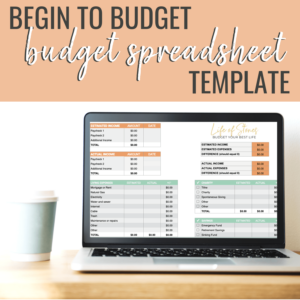 to help you budget your best life! Check back often for new content being added! NEED HELP MANAGING YOUR MONEY? !